(Natural News) He supported avowed socialist Sen. Bernie Sanders’ 2016 presidential bid, the Occupy movement, and is a noted Left-wing professor emeritus from Harvard University and MIT. He once called POTUS Donald Trump an “ignorant, thin-skinned megalomaniac” who is a “greater evil” than Hillary Clinton. He hated the Reagan administration, the wars in Vietnam and Iraq, and seemed to blame the 9/11 attacks on the United States. But one area where Prof. Noam Chomsky has been consistent is his critique of the corporate (and now Big Tech) media and his solid defense of free speech. So given two facts alone, it should come as no surprise that he is the only committed Leftist/socialist who came to the defense of Infowars founder Alex Jones as his content and podcasts have been systematically banned from one social/tech/e-commerce platform after another by speech Nazis. This week, Apple, Facebook, YouTube, Spotify and numerous other Silicon Valley giants censored Infowars, with Tim Cook and Mark Zuckerberg personally taking the decision to do so in the case of Apple and Facebook. Chomsky, who is internationally renowned as an authority on free speech issues, was asked by inventor and encryption expert Louis Buff Parry what his position was on Infowars being shut down by Big Tech. 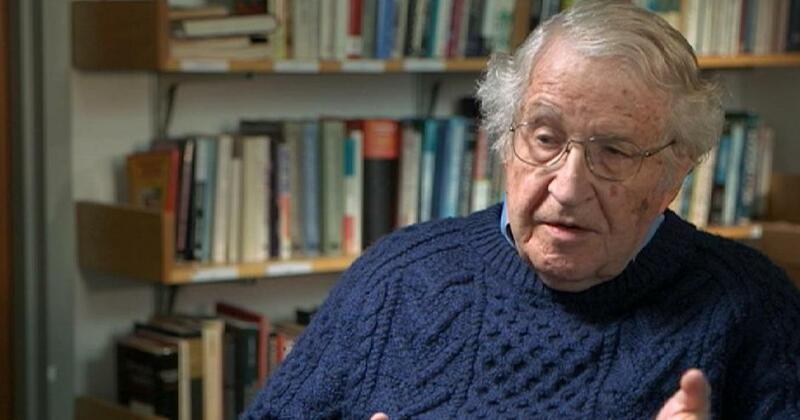 “What I’ve seen of what he does is outrageous, but unlike many civil libertarians here and especially in other countries, I don’t think that the right way to deal with ‘hate speech’ and crazed fabrications is to ban them; rather, to confront them, and to seek and confront the reasons why anyone pays a moment’s attention to them,” Chomsky responded from his official MIT email account. Chomsky was clear that he’s not a fan of Jones, saying that he believed the interview he did with Jones in May 2001 was “ridiculous.” However, Parry too also strongly defended Infowars in the email exchange. As NewsTarget has reported, the modern-day “free speech movement” began at Berkeley, but the same kind of Left-wing progressives who launched it then are responsible for censoring and banning speech and content today – sometimes on the campus of Berkeley. Watson notes that Chomsky is one of a rapidly-dying breed of American liberal – one who supports freedom of speech and the First Amendment for all voices, no matter what. He’s been a consistent defender of free speech, noting, “If you believe in freedom of speech, you believe in freedom of speech for views you don’t like” – the fundamental purpose for why our founders recognized it as a universal basic human right. “The plutocratic corporate elite led by Apple and Google have mainstream media in such lock-step control that in over two days not one publication has covered the incredibly newsworthy point that Professor Noam Chomsky has come out in defense of Infowars’ right to exist and pointed out the obvious danger of monopolies engaged in coordinated censorship of speech,” Jones noted, adding that it’s thanks to the DrudgeReport.com “breaking the blockade of news and information” that more Americans are now aware of Chomsky’s support. The Alt-Left wants to have it both ways: Free speech when their views are being promoted while reserving the ‘right’ to censor views they disagree with. Read more about Left-wing censorship at Censorship.news.